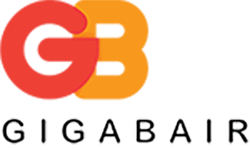 Gigabair urban broadband solutions offer the extra coverage that is required for users to get connected to our Gigabit services. High quality, high bandwidth and extra distance ensures you get the best service. Designed to be a high-performance backhaul, the airFiber24 delivers amazing wireless throughput of up to 1.4+ Gbps, surpassing conventional wired backhauls. Robust enough to perform in the harshest environments, the airFiber24 delivers superior performance with efficiency over real-world, 13+ km links.